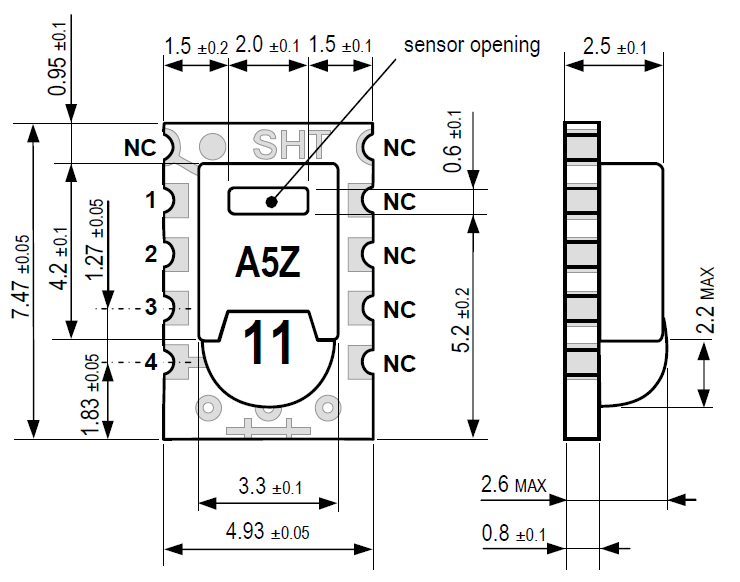 Sensirion Temp/Humidity Sensor BS2 Example Code. 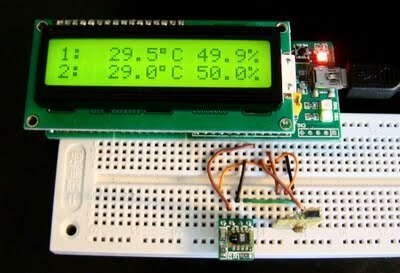 Humidity is very difficult to measure and requires external circuitry and many calculations by most other sensors available. 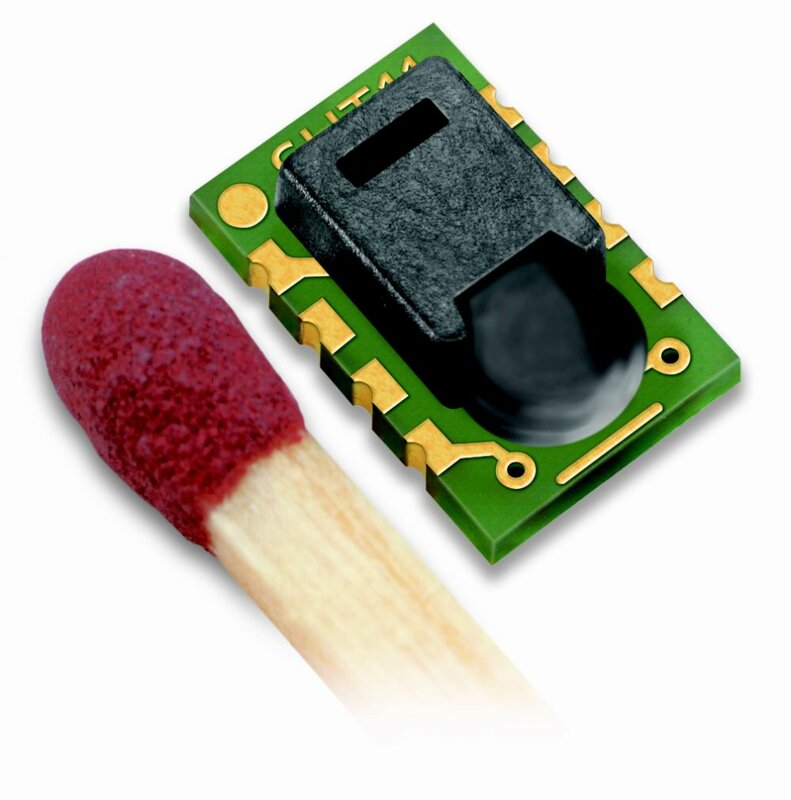 The Sensirion SHT1x is a smart sensor that comes to you ready to be integrated into your project with your microcontroller. 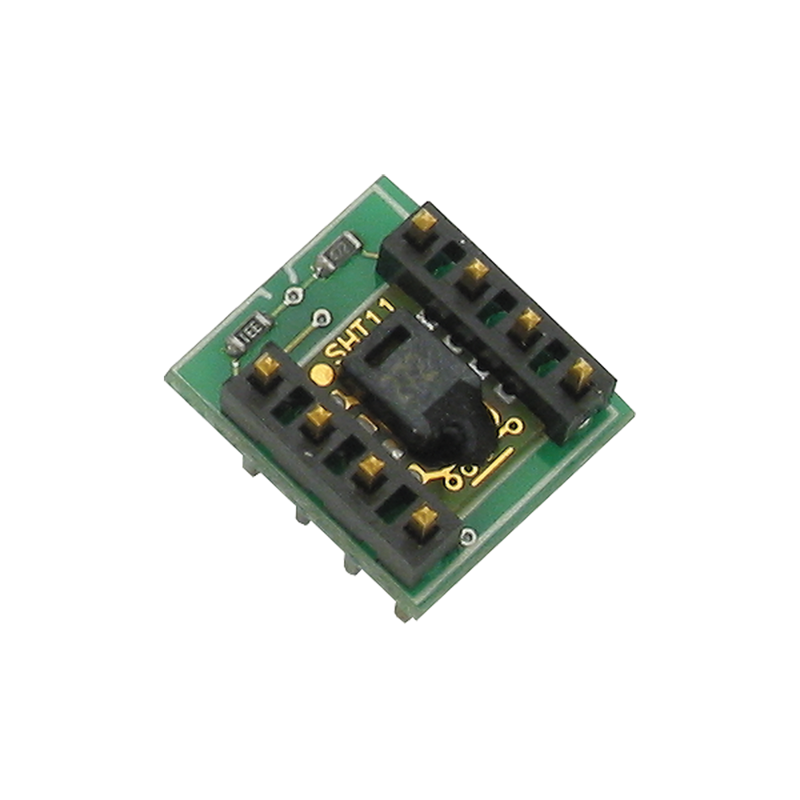 With the onboard analog to digital hardware, and the factory calibration, all your microcontroller has to do is read out the temperature and humidity values through the two-wire digital serial interface. This sensor is excellent for commercial or home-based projects that require a high degree of resolution. Provides a fully calibrated, digital output so you can plug it right in and get measuring! Measures temperature with a resolution of 0.01 degrees C, and within +/- 2 degrees C accuracy. Measures realtive humidity with a resolution of 0.03%, and within +/- 3.5% accuracy. Low power consumption (typically 30uW). Dimensions: 0.43 x 0.49 in (11 x 12.5 mm). Operating temp range: -40 to +254.9 °F (-40 to +123.8 °C).